Esa and Rachel arrive in Greece to a shocking scene, witnessing for themselves the massive fallout of the Syrian war in the wretched refugee camps. 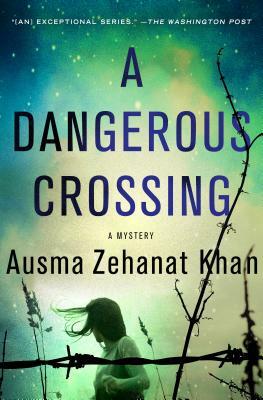 Tracing Audrey’s last movements, they meet some of the volunteers and refugees—one of whom, Ali, is involved in a search of his own, for a girl whose disappearance may be connected to their investigation. The arrival of Sehr Ghilzai—a former prosecutor who now handles refugee claims for Audrey’s NGO—further complicates the matter for Esa, as his feelings towards her remain unresolved. Working against time, with Interpol at their heels, Esa and Rachel follow a trail that takes them from the beaches of Greece, to the Turkish–Syrian border, and across Europe, reaching even the corridors of power in the Netherlands. Had Audrey been on the edge of a dangerous discovery, hidden at the heart of this darkest of crises—one which ultimately put a target on her own back?